Wed., April 25, 2018, 5:22 p.m.
After peppering the nation with thousands of locations, closely held Subway is retrenching. This year, the sandwich purveyor is planning to shut about 500 more of its U.S. shops. Last year, more than 800 stores went dark, with the total U.S. count dropping to 25,908. It also closed restaurants in 2016. The sandwich shop, founded more than 50 years ago, is struggling to boost sales in the U.S. as newer, more modern chains emerge. Greco said Subway had been hurt by fierce competition in the U.S., including from a resurgent McDonald’s, whose domestic system sales rose 3.4 percent last year, according to data from researcher Technomic. Subway’s fell 4.4 percent. It’s also now faced with supermarkets and gas stations that are selling more grab-and-go fare, putting immense pressure on Subway to be faster and more convenient. Along with the closures, some locations are being relocated, and Subway is now using data from SiteZeus to choose better real estate, Greco said. 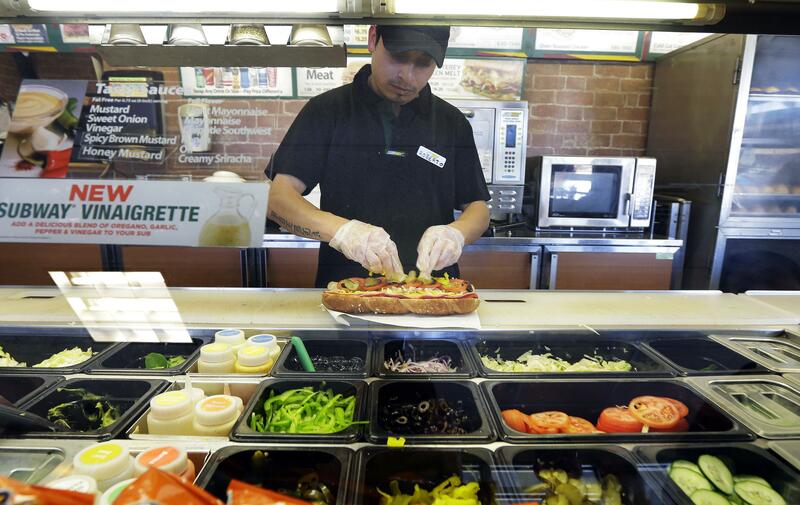 Subway is banking on a new loyalty program, along with menu innovation, to boost traffic. The rewards system, which offers $2 discounts and free items, is available for the chain’s domestic and Canadian locations. It’s also remodeling stores for a sleeker look with touch-screen ordering kiosks. But the real opportunity for expansion is abroad, Greco said. This year, the chain will add more than 1,000 locations outside of North America, and is focused on growth in countries including the U.K., Germany, South Korea, India, China and Mexico. Milford, Connecticut-based Subway is owned by Doctor’s Associates Inc. and was founded about 53 years ago by Fred DeLuca and Peter Buck. Greco took over in 2015 after the death of DeLuca, her older brother. The chain, which has about 43,700 stores globally, is entirely owned by franchisees. While there have been recent management changes at Subway, Greco says she’s not going anywhere. Published: April 25, 2018, 5:22 p.m.